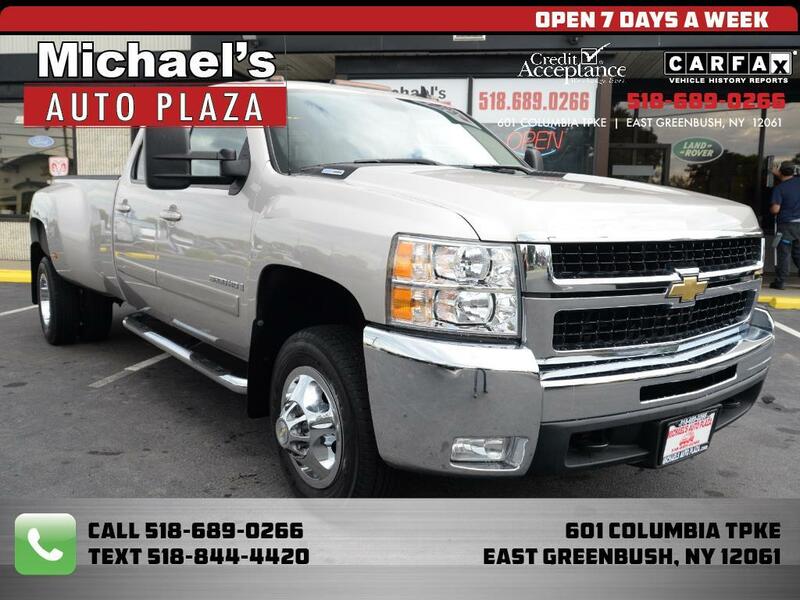 Come see this 2008 Chevrolet Silverado Crew Cab 3500HD LTZ, 6.6L V8 Duramax Diesel, Super Low 26K miles. Silver with Gray Leather Interior, One Owner Clean Carfax, Automatic Allison Transmission, 8 foot bed, Heated Power Seats, Power Sunroof, Running Boards, Remote Starter, Anti-Lock Brakes, Leather Seats, Trailer Hitch, Keyless Entry, Bedliner, Memory Setting, Premium Audio, Rear Window Defroster, Traction Control, Steering Wheel Controls, Tinted Glass, Airbags, Adjustable Pedals, Power Windows, Locks & Mirrors. A/C, Cruise, Tilt, CD.